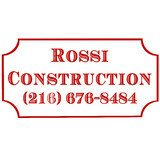 Since 1954, Rossi Construction has been recognized as a top concrete residential driveway contractor in Cleveland. They provide clients with a wide range of contracting services including hand finished driveways for all their remodeling and repairing needs. Whether you’re looking to renovate your existing space or add a whole new extension, we are happy to help you achieve the results you seek. Contact us today to receive a free estimate. 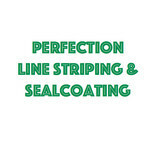 Sirna Construction Inc. has been offering fair prices, fine craftsmanship, and professional service since 1978. We offer our asphalt and concrete work to homeowners and businesses, ensuring the best results for asphalt paving, parking lot repair, and so many other projects. 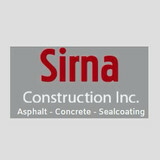 Whenever you need paving repairs or original paving work, call Sirna Construction Inc. and let us pave the way! 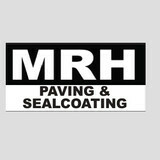 At MRH Paving & Sealcoating in Chardon, Ohio, we know what it takes to get asphalt, concrete, brick paving installation, maintenance and repair projects done right. No matter how large or small your project is, we will rise above and beyond your expectations. Our experience in the industry, quality machinery, and manpower allow us to realize what needs to be done and not stop working until you are satisfied with the project. Some of the services we provide include asphalt paving, sealcoating, concrete stamping, brick paver installation and even pressure washing. Give us a call today for a free estimate! Serving Chardon Ohio, Cleveland Ohio and nearby cities with Asphalt Sealcoating and Parking Lot Line Striping & Marking since 2003. 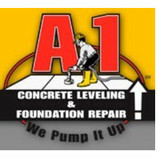 A-1 Concrete Leveling Akron/Canton serves the greater Akron/Canton, Ohio area. We are part of the A-1 National Franchise Network, the largest concrete leveling company in the nation. A-1 Concrete Leveling Akron/Canton is fully insured and we are so confident we will provide the highest quality service that we back every concrete leveling or concrete sealing job with a one-year guarantee. At Baldwin Stone LLC, we match classic masonry structures to your home aesthetic for beautiful results. Located in Rootstown, OH, we utilize stone veneer and tuckpointing techniques to produce eye-catching retaining walls, chimneys, fireplaces, patio pavers, and outdoor kitchens. Your home will be the envy of the neighborhood after the job is done! Homeowners in Parma Heights often don’t realize just how important a driveway is when it comes to curb appeal; it’s one of the first things guests see when they arrive and one of the last when they leave. So if your front drive is damaged or you want to switch from, say, a gravel driveway to an asphalt one, hire a Parma Heights, OH driveway installation and maintenance professional to help you create your dream driveway. From installation to repair, Parma Heights, OH driveway contractors are responsible for a variety of planning, installation, construction and driveway maintenance services. Driveway installation. Before work begins on a new or replacement driveway, your professional should create plans based on your needs and material choices, as well as your property grade, soil and other Ohio landscape factors. When it comes to the actual driveway construction, driveway contractors are responsible for preparing the site, obtaining the necessary materials, making sure a strong foundation is laid, operating equipment and heavy machinery, and cleaning up the site afterwards. Driveway materials. While most driveway contractors in Parma Heights, OH primarily work with asphalt, they are also experts on the wide range of available driveway materials. If you are looking for something different than a standard asphalt driveway, your pro can help you select driveway pavers or customize a brick driveway design. A driveway installation and maintenance professional may work closely with a Parma Heights, OH builder, landscape professional or various manufacturers and suppliers. Find a Parma Heights, OH driveway installation and maintenance professional on Houzz. Narrow your search in the Professionals section of the website to Parma Heights, OH driveway installation and maintenance. You may also look through Parma Heights, OH photos to find examples of driveways that you like, then contact the professional or contractor who worked on them.